The humble kettle, I don’t know one carp angler who regularly night fishes without one however I bet that 99% of the time they are the basic kind that run on top of the gas or petrol stove. 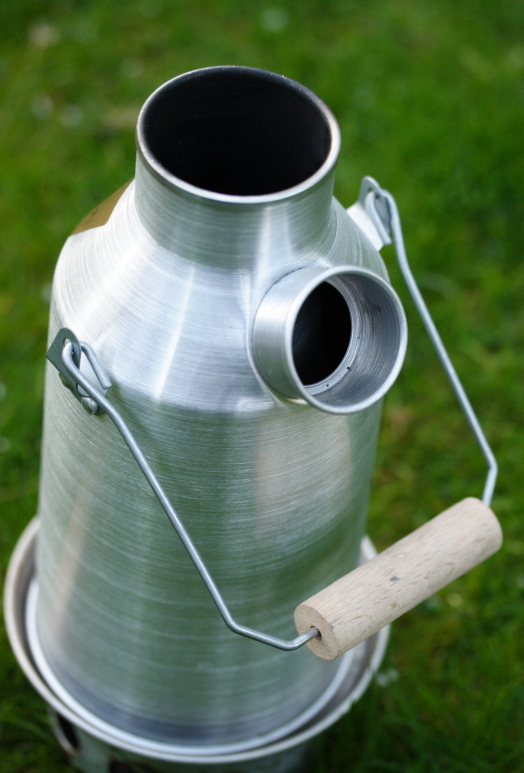 A while ago I was introduced to the kelly kettle made by the Kelly Kettle Company in County Mayo, Ireland by my wife after I asked her to get me a kettle that didnt need gas. After some googling she managed to find a distributor of these kettles and the rest is history. 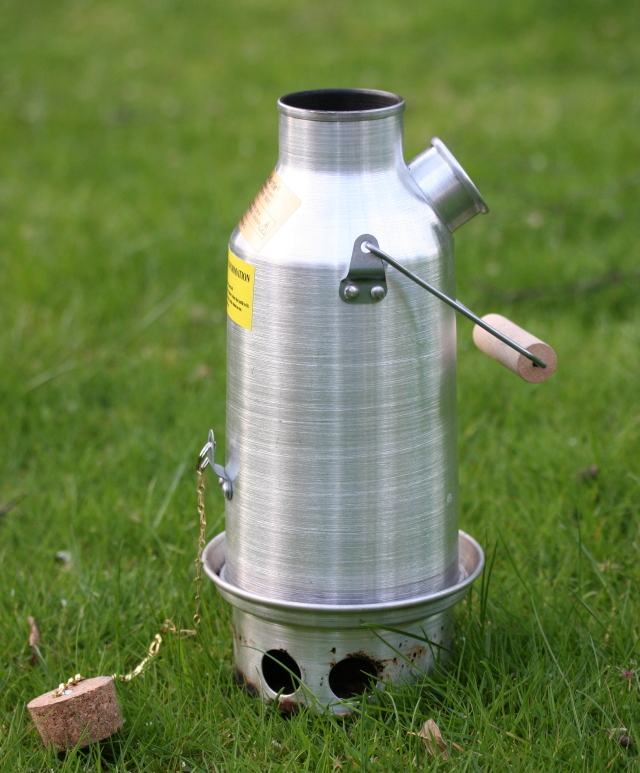 Please note that if you like to cook inside your bivvy this is not the kettle for you. As there is an open flame you want to keep the kettle at least 2 yards away from the bivvy and rods. Once the fire is burning, place the filled top unit back on and watch the fire start to really roar as air is sucked up the chimney by the shape of the kettle. It is very important to never run the fire underneath an empty kettle as it may be damaged. If the fire is not hot enough simply drop some more twigs down the central chimney rather than trying to poke then through the 2 holes in the base. As soon as the water is boiling it will tend to over flow and start to put out the fire. Grip the wooden hand grip in one hand and the chain in the other and move the kettle from the fire. 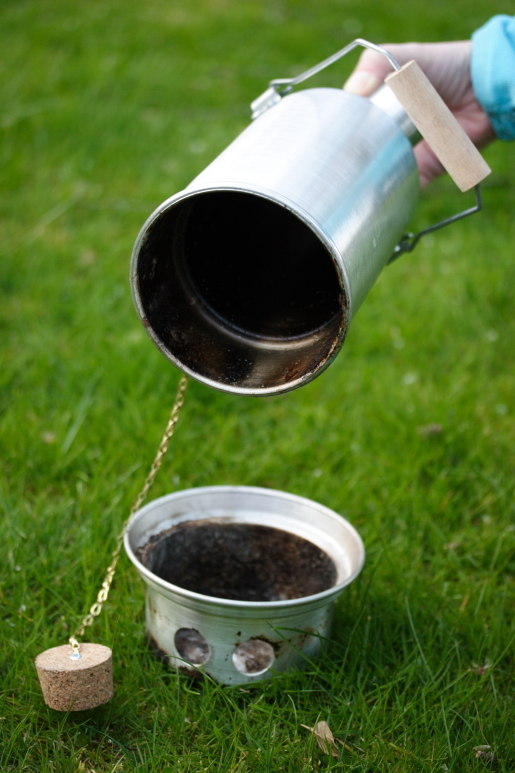 Some of the boiling water can be poured on the fire int he base to put it out if you do not need it. So why use one ? Well they are cheap to run, all you need is a little tinder which is free around most lakes and you are done. You can’t run out of gas and it works just as well in the cold as the warm. The other advantage is that if you get the 2L version ( I have both though the one above is the 1L version) you will find you have enough water boiled to not only make 3-4 cups of tea but also clean the plates and wash anything that you need to wash. Far better than the pitiful amount that you get from most camping kettles. All in all I give this product an 8 out of 10, where open fires are allowed it will quickly boil a large amount of water and can never run out of fuel. The warm comforting glow of the chimney at night is just a bonus. Kelly Kettle company can be found at http://www.kellykettle.com/ and ship world wide and from the orders I have place seem to be a thoroughly decent bunch of people.